Paddy Hills is a quaint cafe located at one of the shop houses along South Buona Vista Road. Our monthly food hopping kakis decided to do the “Journey to The West”, so we have even coverage around Singapore. 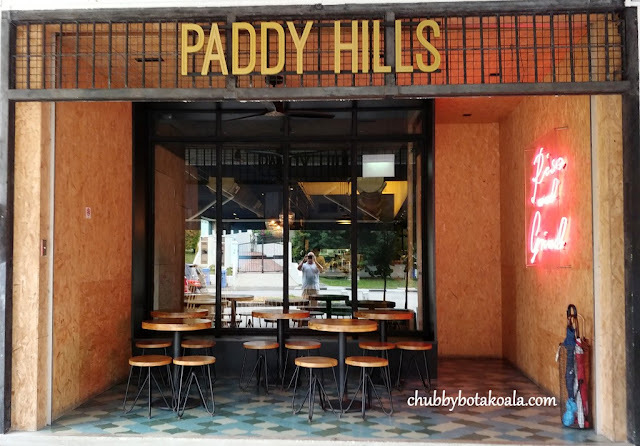 From the outside, Paddy Hills is set up in the minimalist industrial décor. Combination of steel and wooden furnitures together with the neon sign just reaffirm the funky look of this cafe. The furniture indoor slightly deviated from the outdoor, however focusing more on comfortable décor with a slight 80s theme. 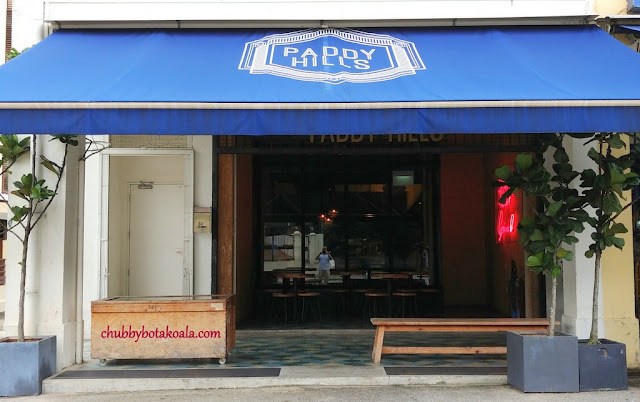 Since Paddy Hills occupied the corner shop house, the left side of the wall has huge windows, and it allows the natural light brighten up the cafe. Hint: best place to sit and take your IG Photos. While waiting for other kakis to arrive, we started with Lotus Root Chips ($10). Paper thin sliced lotus root chips sprinkle with Pop Rocks and Sumac Powder. 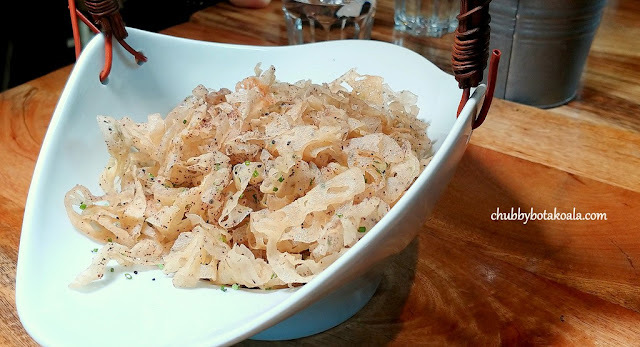 Definitely, have the look for a healthy appetizer followed with airy crispiness from the paper thin sliced lotus roots. The pop rocks and sumac powder is very subtle, it can be mistaken for lack of seasoning in this dish. The complete meal started with NZ Mussels ($20). 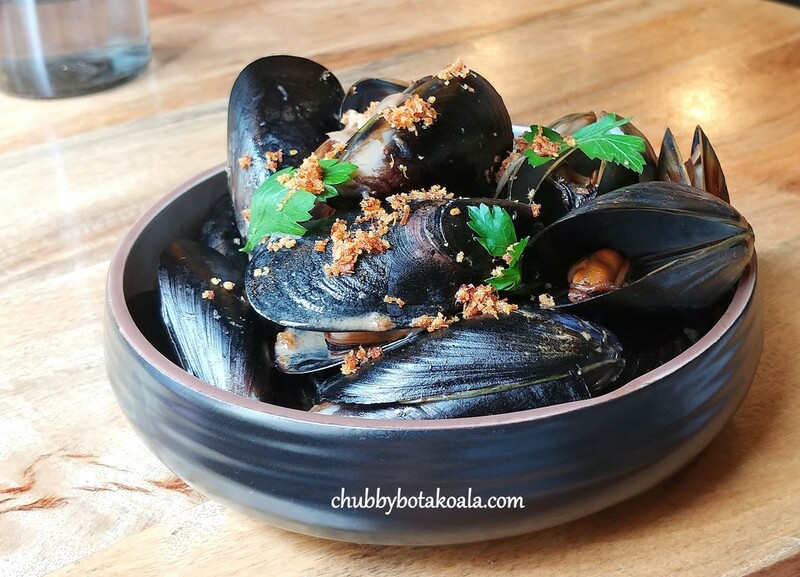 NZ Mussels cooked with Guinness Stout, Bacon Crumbs and Italian Parsley. I like the flesh juicy mini NZ Mussels. However, the gravy is just too salty and bitter. It is possible that the saltiness derived from the jus of the mussels while the bitterness is due to the reduction of the stout. I think a serving of fries or bread will help to balanced the gravy. Christmas Burger ($26). A creative dish by Paddy Hills. The turkey breast patty is juicy, sandwich between brioche bun, Gruyere cheese, bacon and cranberry mayo, it sure tastes like Christmas. 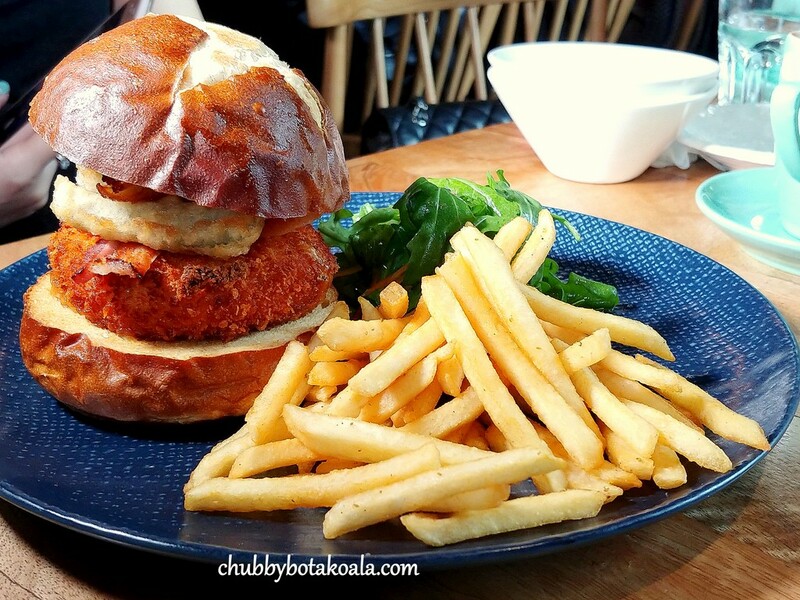 The fries are seasoned with salt and vinegar gave this burger the acidity to offset the “Jelakness” feel to it. It is best to use your hands to eat the burger and don't try to slice it. I actually dipped the fries from the burger to the broth of NZ mussels. It turns out nicely and offset the excessive bitterness and saltiness in the broth. Crispy Pork Belly ($26). I almost flipped when this dish was served. 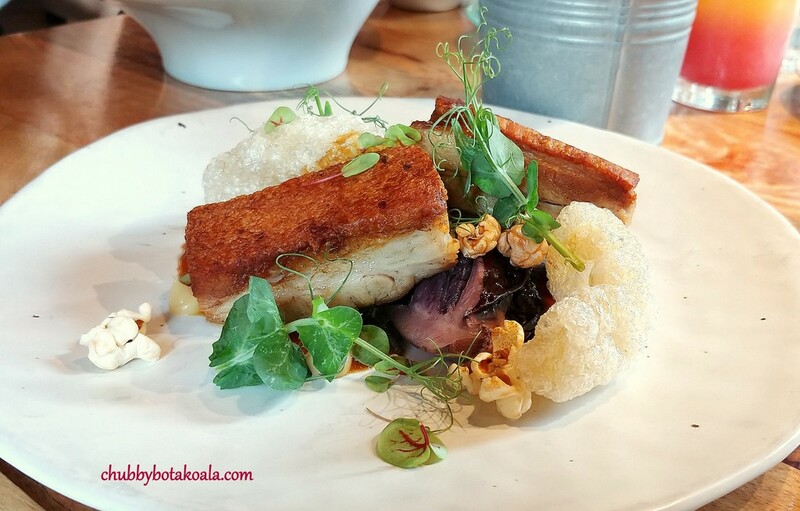 At the first sight, the pork belly was skinless. It's like you are deprived the best part of the pork. Instead, it was sliced and roasted separately to create a healthy pork skin crackers. The pork itself is juicy on the lower part, while slightly dry on the top (fat) part. The roasted purple cabbage, confit garlic puree and apple jus definitely jazz up the plate for flavour. Not sure if the caramel popcorn makes any difference in this dish. Uni Truffle Pasta ($35). This is a serious Fine Dining Standard. 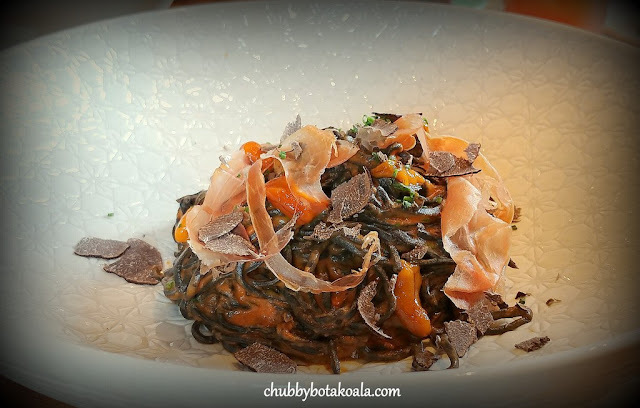 Al-dente homemade squid ink spaghetti cooked with tangy tomato cream. Finished off with generous servings of uni, serrano ham and Himalayan truffle is just a sight to behold. Yum Yum. Duck & Waffles ($25). 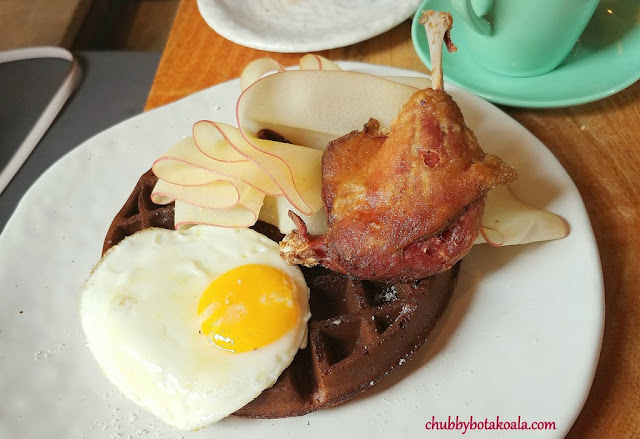 Crispy Coffee Waffle with Crispy Duck Confit topped with a fried egg. I was amazed by the red apple sheets. I am sure there is a machinery involved in making the red apple sheets, but it sure gives the WOW factor in the plating. Though the overall dish is delicious, the waffle seems tasted a bit burned, like it was left a bit too long in the waffle maker. Other than that, it was just delish. For dessert, Berry Muffcake ($23) is a must order. 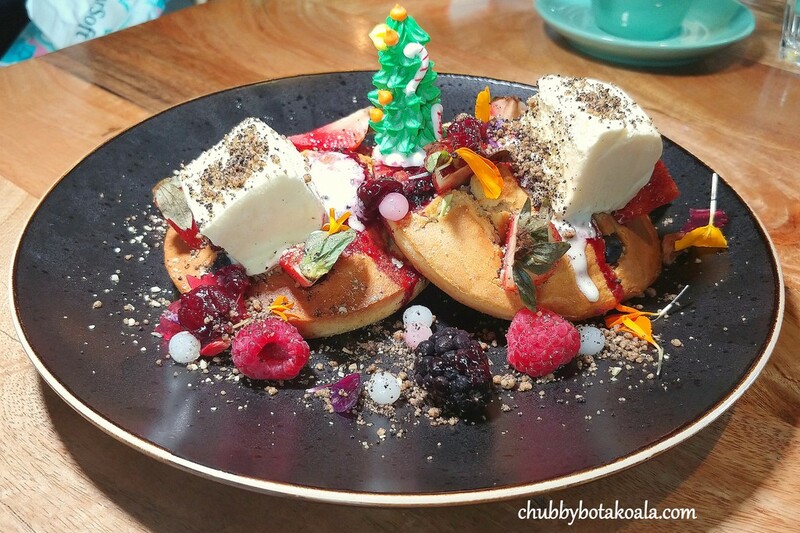 A cross between Muffin and Pancake desserts, topped with Berries, Compote, Yoghurt Balls, Vanilla Ice Cream. The muffcake have the exterior of the pancake followed with the interior of a muffin. They are moist, crumbly while each of the toppings has its own unique characters: sweet, savoury, tangy, fruity and awesome yoghurt burst of flavour. This is signature dessert at Paddy Hills and it is a must order. For Caffeine junky, the coffee is not to be missed. 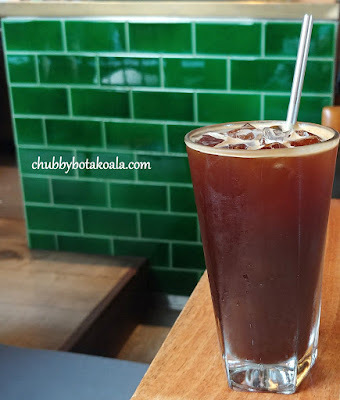 My iced Americano is well balanced, minimum acidity and easy on the palate. The beans are sourced from Tiong Hoe, which we are familiar with. Service is friendly and accommodating. We did not make a reservation for our visit, they manage to slot us right it. Also, if you can see from the photos, the portion of the servings is big. Overall, I really enjoyed the visit to Paddy Hills. The dishes here are creatively curated, delightful and definitely a sensory treat. 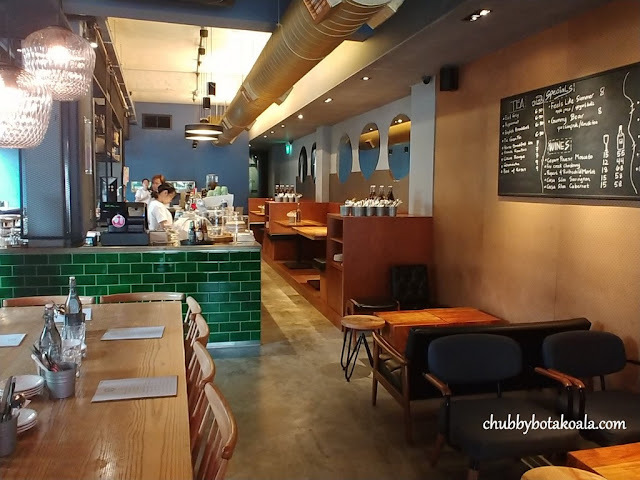 Although the execution is not perfect, it sets the standard for cafes in Singapore. Definitely a destination for a superb Cafe Hopping Experience. Cheers!! Sharing the calories for this hopping trip are: Ivan Teh – Running Man, Purple Eats, The Artic Star, Jelly Loves Food, Msginginly, and Her Pen & Fork.